Pull the sunroof control lever backward to the second detent position and then release it. The sunroof will slide open automatically but will not open all the way. If you would like to completely open the sunroof, pull the lever once more. 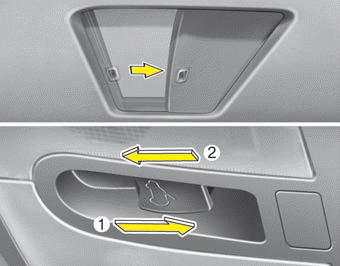 Push the sunroof control lever forward to the second detent position and then release it. The sunroof will automatically close all the way.